I learned how to make these from my friend Lindsey a few years ago. I've seen a couple things on Pinterest for Mint Truffles, but I didn't really read into those recipes much. It seemed easier to just substitute in mint cookies instead of using food coloring, mint flavoring, etc. 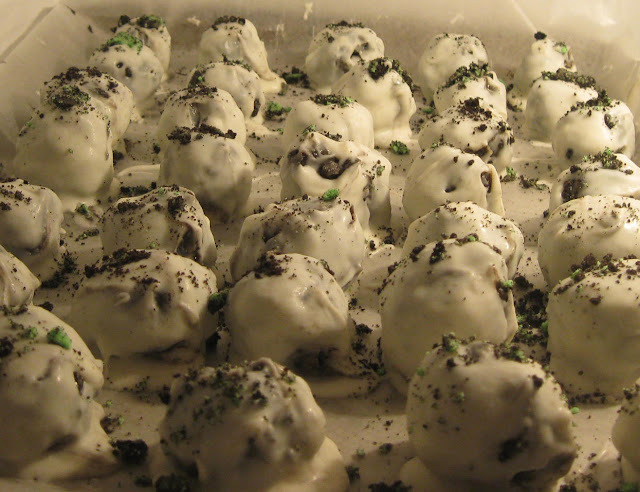 These are for some family events so I made the recipe x 3. Normal recipe can make 2-3 dozen. Add the cream cheese and mix it all together (should be creamy). Roll little balls of the mixture, place on wax paper, and put in fridge or freezer to cool. 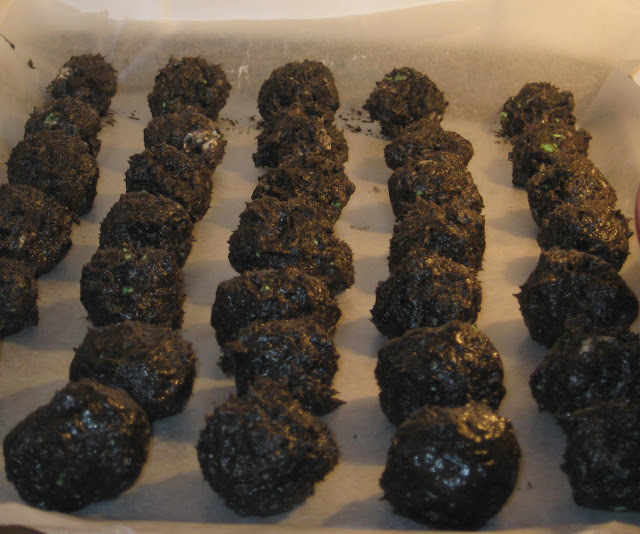 Melt the candy coating and roll some of the chilled oreo balls in the coating. Sprinkle some of the leftover cookies on top and pop it back in the fridge. I love these! I'm so glad you posted this because I want to make them! I still have some frozen ones in the freezer that I am too lazy to melt the chocolate from... but they are soooo good!